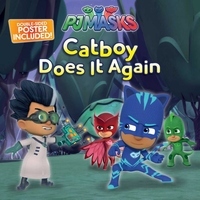 Catboy relives the same night over and over in this 8x8 storybook based on PJ Masks, the hit preschool series airing on Disney Junior! This story comes with a double-sided poster! This book includes a cool, double-sided poster!